Are you a music aficionado? Do you want to keep up with your favorite artist and be among the firsts to know what’s happening in the music world? Then you’ve come to the right place. Excite.com takes pride in providing our valuable customers the best of information, catering to a diverse audience and offering the most popular music tickets. 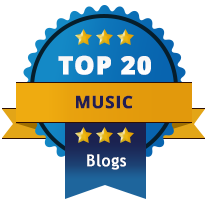 Even better, our collection of the Top Music Blogs will keep you up-to-date about the latest happenings in the world of music. Whether it’s about an artist releasing a new album, announcing world tours or just stirring the music scene – for both good reasons and bad, you can read it all here! Covering a variety of music styles and genres, excite.com carefully selects these top blogs. The writers and their content comes from all areas of the music spectrum, ranging from interviews and feature stories to breaking news, concert reviews and even multimedia.